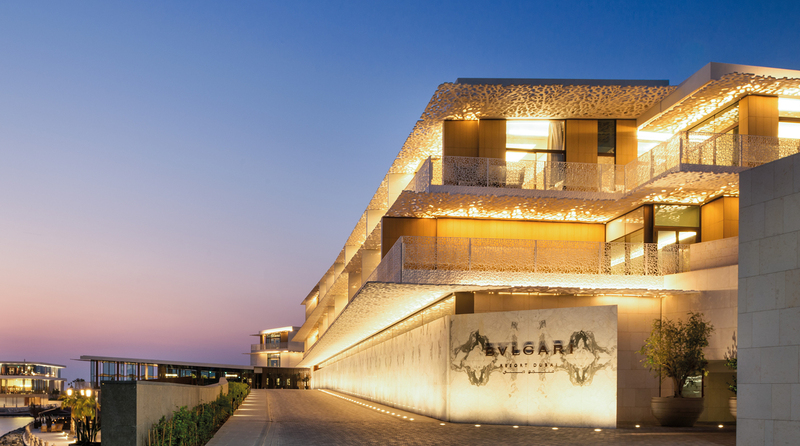 An ultimate urban resort, The Bvlgari Resort Dubai is part of the Bvlgari Resort & Residences Dubai, developed by Meraas, a leading Dubai-based holding company. Located on the magical seahorse shaped island, it is set to become the destination of choice for visitors seeking the solitude of an island escape, the residential feeling of a private house, yet situated just minutes from the hean of the vibrant city and its cultural attrations. The resort includes 101hotel rooms and suites and 20 hotel villas, all exquisitely furnished with the highest quality italian luxury furniture brands in an expression of the quality of "Made in Italy". All rooms and suites have expansive views over the breathtaking Dubai skyline or the Arabian Gulf, with large balconies to truly soak up the magnificent scenery.